On August 22, 2018, the 74th Session of the Interstate Commission on Water Coordination (ICWC) for Central Asia was held before the Heads of States-founders International Fund for Saving the Aral Sea (IFAS) Summit in national touristic zone Avaza. 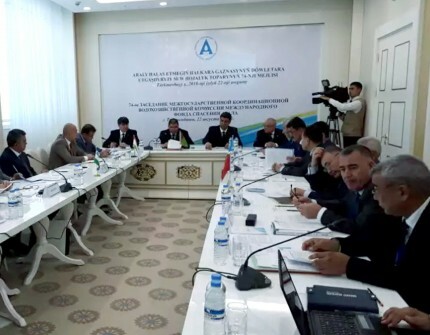 In the course of session, the heads of Commissions on Water Coordination in Central Asia and the members of ICWC have discussed issues of water usage limits and basin cascade operating mode in Amu Darya and Syr Darya basins for vegetation season in 2018 and development of Program of actions on providing assistance to the countries of the Aral Sea Basin (ASBP-4). The major goals of this program are to improve living conditions of people dwelling in the Aral Sea Basin, to activate cooperation among Central Asian countries in addressing environmental, social and economic issues, to use water resources efficiently and to adapt to climate change. The Regional Environmental Center for Central Asia made a presentation on implementation of “Smart Waters Project” in the region and its interim results.